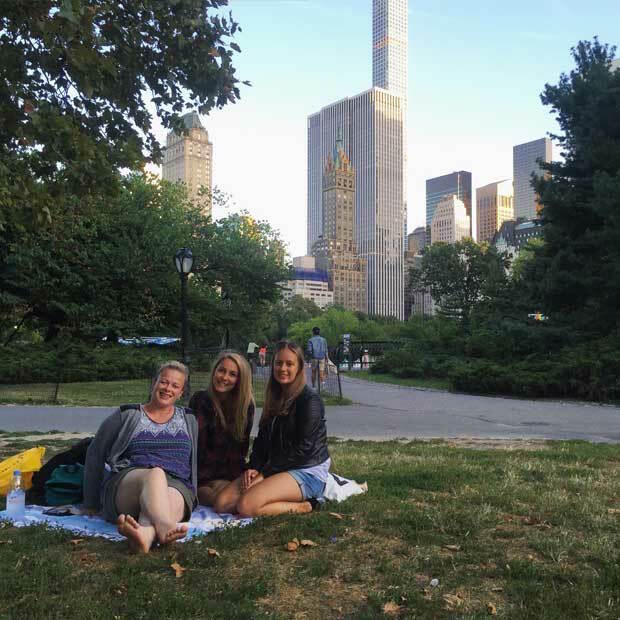 Image courtesy of Shivane F.
Shivane, from the Netherlands, is one of the many InterExchange au pairs around the country. Shivane is doing a great job and having a wonderful experience! Here, she takes the time to let us know about her year. Shivane has a great host family! 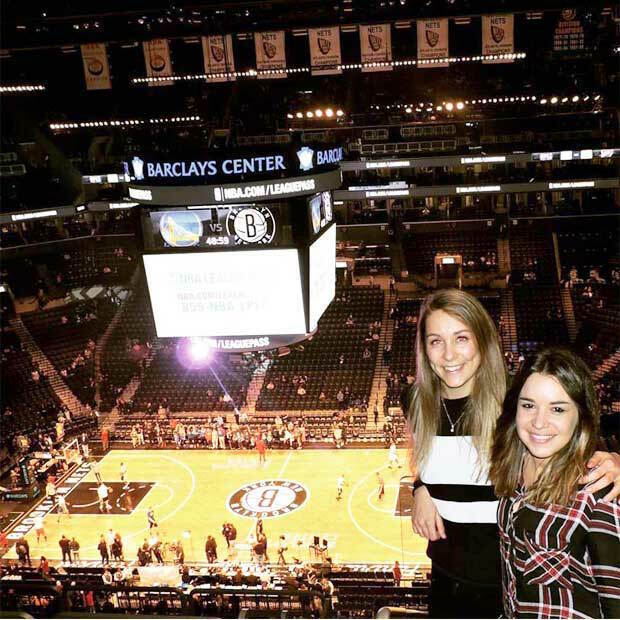 "My host family is one of the best families an au pair could wish for!" said Shivane. She is taking care of a 10-year-old boy named Jack, and an 8-year-old girl named Sydney. "Jack loves to play sports: hockey, soccer, basketball and lacrosse," explained Shivane. "He likes to play on his Xbox or play board games with me as well. Jack is very funny and loves to make jokes or watch funny videos. Sydney is a very cuddly and sweet girl, who loves lacrosse, basketball, ballet, dancing and doing arts and crafts." Both kids love to be outside when the weather is nice, especially if they can also play with their puppy Remmy and their guinea pig Sammy. 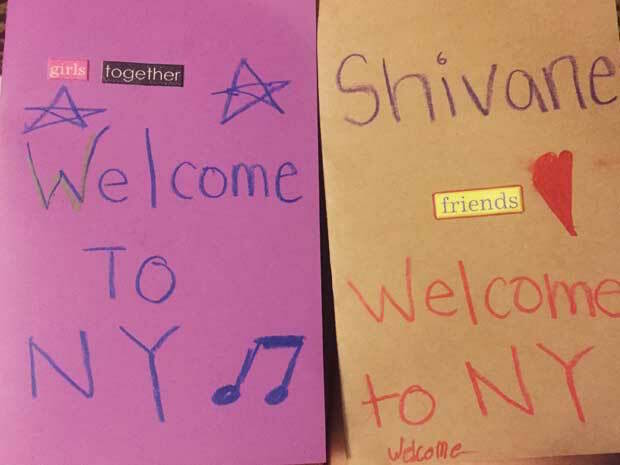 "My host parents are very sweet and caring," added Shivane. "The communication with them is very open, and if something is bothering one of us, then we talk about it." One of the things that Shivane likes best is that the family is always busy with exciting activities. "It can be chaotic in the house sometimes, but that keeps the year interesting. Every single week is different and is planned with a lot of activities." Shivane and her host kids love to spend time together! Shivane said her host kids are usually pretty busy, but when they have free time, "we go to the park, get pizza or frozen yoghurt (this is the best! ), play outside in the garden, go swimming in their swimming pool, do arts and crafts, play board games like Battleship, Uno or Sorry, bake cookies, or play in the basement: knee hockey or table soccer." Shivane has had the privilege of watching her kids grow. When asked what she likes best about working with her host kids, Shivane said, "I like that you can see them grow. Literally, because they are getting taller, but also because they are getting older and therefore also more mature. They are becoming more independent and it is nice to see them get more confidence. Jack and Sydney are such sweet kids and love to talk." Shivane heads to Huntington to meet up with friends and have fun! "I live in Syosset, which is near Huntington, which is on Long Island," Explained Shivane. However, it's a smaller town where there aren't as many social activities. "I am going to a park or want to have lunch somewhere, I always meet up with girls in Huntington. That is a very nice and cosy town, just 10 minutes away. A common place to relax and hang out with other girls is Starbucks. I love to go out to have lunch or dinner and Huntington has a lot of good restaurants. There is a cute and delicious gluten free bakery, where I often go to get a muffin or a sandwich (I am allergic to gluten). Some nice shops and bars can be find in this area as well." She has seen a lot of the U.S. – and plans to see more! 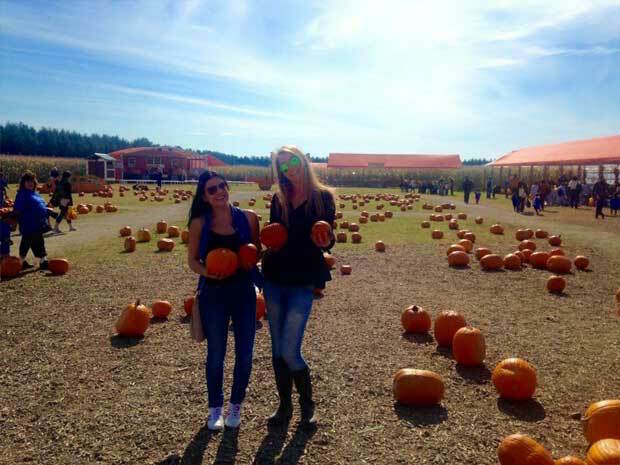 Her 2nd month in the U.S, Shivane travelled to Boston with another Dutch au pair. "We took a bus from Chinatown, which took around 5 hours to get to Massachusetts. This is by far my favorite place that I have been to in America so far. I liked the people, there are a lot of college students, the Bunker Hill Monument was very impressive, and everything is pretty close to each other, so if you rent a bike, you can see everything in one whole weekend." 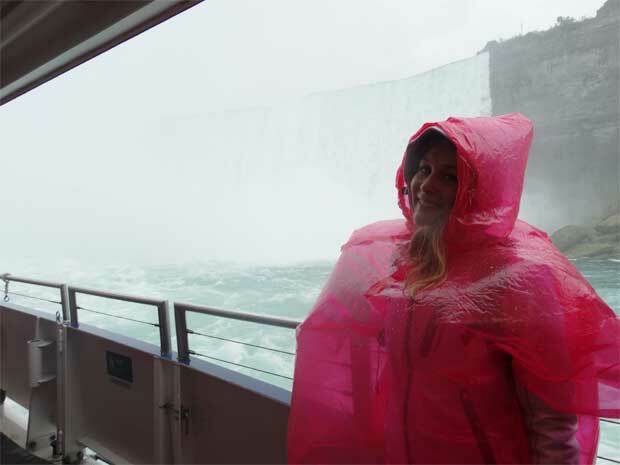 She also travelled to Niagara Falls with a Dutch friend for one of the classes she is taking. "It was very impressive to see the Falls, but the 'town' isn't that special. It is one long street with a lot of eating places, haunted houses, shops, cinemas, game halls and other attractions. We went on the Skywheel, which was very nice! You got to see the whole town from above. We could see the falls from a distance. The lights here on that night. It was a beautiful sight!" 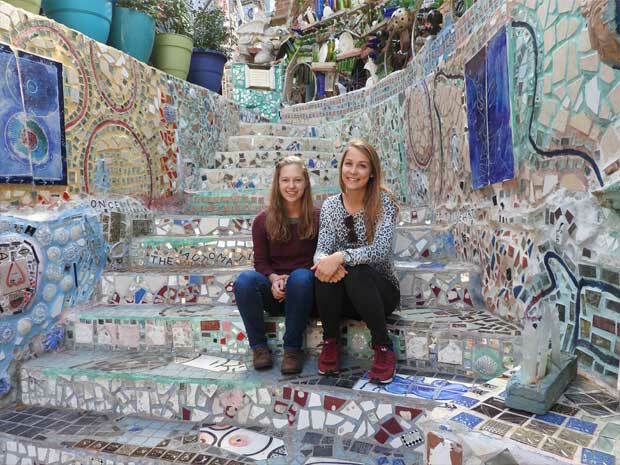 "I went to Philadelphia with an au pair I had met the weekend before. We took a bus from Chinatown on Friday, which came an hour and a half late. It was the last weekend of October and the weather couldn't have been any better. The thing I liked most about Philadelphia was the Magic Garden and the Eastern State Penitentiary. It is a very historical city, so if you are interested in that, you will like the city." 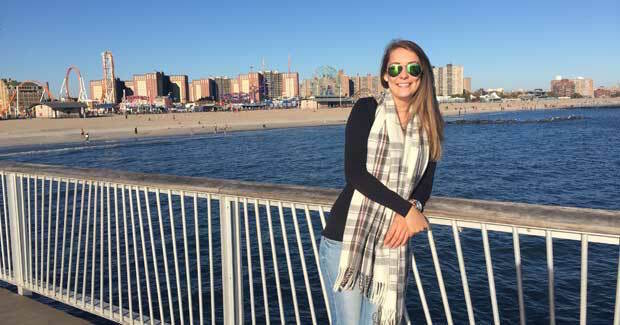 "I went to Connecticut to visit an Dutch au pair who arrived in New York at the same day as I did. The first thing I thought when I arrived at Wilton was: wow, this is such a beautiful place. There is a lot of trees and nature in that area. It was all very cosy." "In January I will be going to Miami, Florida with a Spanish au pair. We are going to spend a couple of days in Miami and we will take a cruise to the Bahamas for 3 days. I am going to Vermont in February, to go skiing with my host family. In 2016, I want to visit Washington DC, Chicago, Nashville, New Jersey and New Orleans." Shivane has also seen a lot of New York City, but she wants to return to see more! She thinks we're friendly, "even in New York", and is surprised at how big everything is! "Some people who come to visit the U.S. think that the American citizens are not friendly or even think they are fake. My first thought of the U.S. was: wow, these people are all so nice friendly! Even in New York. If you ask someone for help, they will always help you, even if they are in a rush. If you drop something while standing in a line, the man or woman behind or in front of you will pick it up for you." "Everything in the U.S. is big. The cars, department stores, the country itself, the food portions, the buildings, the houses (on Long Island at least), the roads are very long and so on. If you want to buy soda in the grocery store, they will have bottles from 4 liters! We don't have that in the Netherlands. If you want a pizza in America, you don't buy a whole pizza; no, you get one big slice from an enormous pizza." "Because of the size of the country and the states itself, you will need a car in most places to be able to get somewhere. You will take the car to every single occasion: the gym, the grocery store, the mall, restaurants, the kids' activities and so on. There are no lanes for people riding their bikes, they all need to drive on the lane with the cars or on the sidewalk (if there is one…). It is very weird to me to rarely see anyone on a bike." Shivane has also made a lot of friends here! 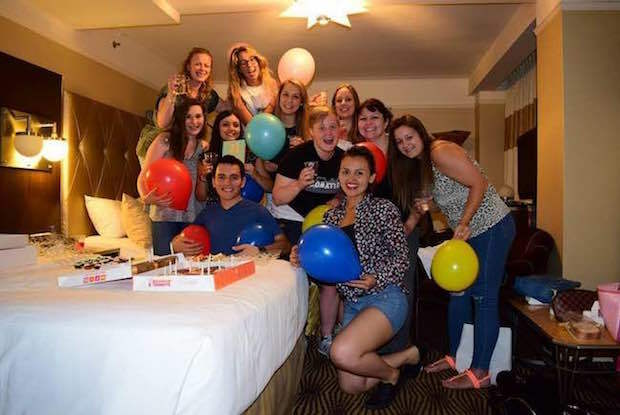 "I have met so many nice girls and have made so many new friends. It is very easy to meet new girls in the area," she said. She's been able to meet au pairs through her own cluster, and also by joining groups and making friends with au pairs from other agencies. "Those girls will know other girls that know other girls that live in your area." 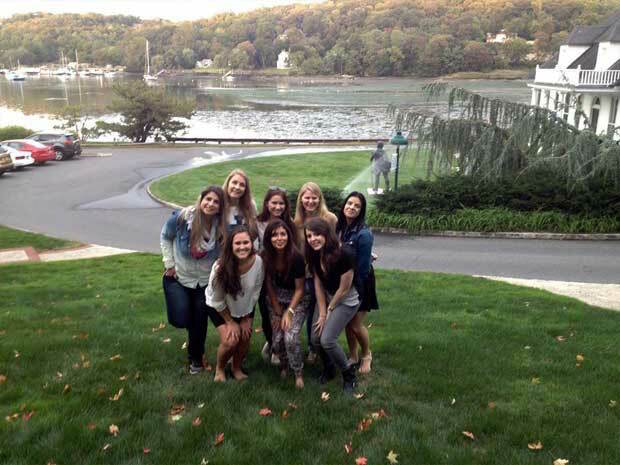 "Through the previous au pair from my host family, I have met her friends from my cluster. They are all very nice. Some of them left unfortunately. She had an American friend as well, who is a nanny. She invited me to her Halloween house party, which was so much fun! It is nice to have an American friend, because she can inform you about nice places to visit and you learn about the U.S. from someone who is your age." Shivane thinks Americans are "over the top", in a good way. "What I like most about the American culture is that they are so dedicated to everything that they do. If Americans do something, they will do it the best way they can. Sometimes it can be a little bit over the top, but that fits America. Christmas will be here in a little less than two weeks and a lot of people decorated their houses. You see it everywhere: lights, inflatable reindeers, santa clauses or snowmen, music and other christmas decorations. They put a lot of effort in decorating their houses and buying christmas presents." 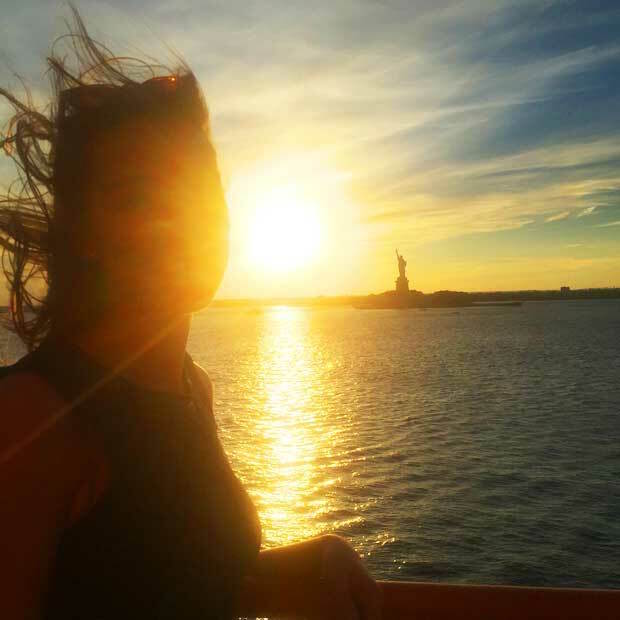 Shivane decided to be an au pair to work with kids and to learn more about the United States. "I wanted to become an au pair because I love to babysit kids. When you will be living with the family, you really get to know the culture of another country and the differences in habits. At the same time, you will have time to travel. That is an awesome combination. I love to travel, and America was one of the countries I have always been interested in. It is such a fascinating country." 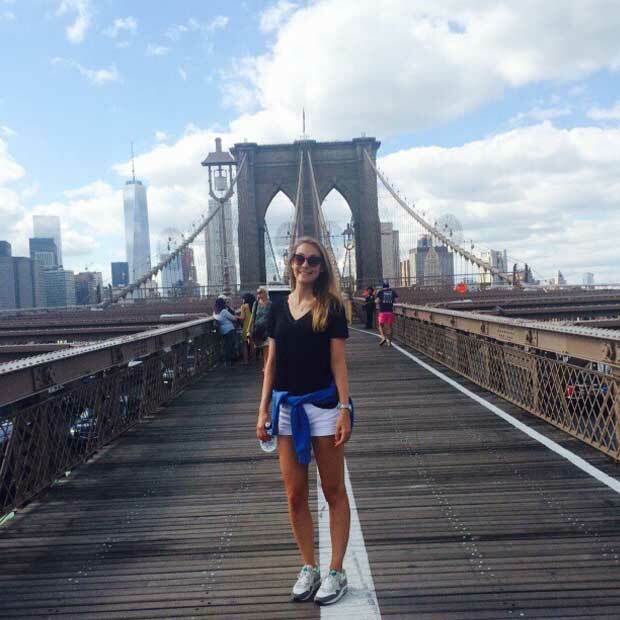 She wants to see more, learn more, and be remembered as an awesome au pair. 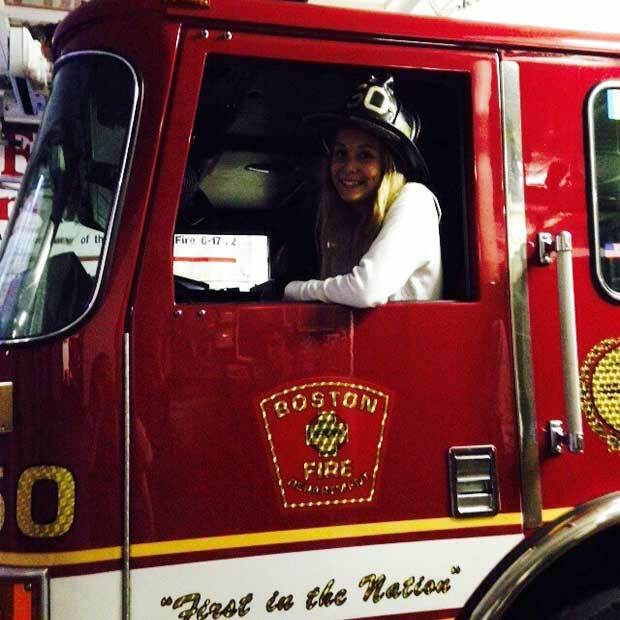 "The most important thing to me is that the kids will remember me as an awesome au pair! I want them to say at the end of the year: we had so much fun together. This whole year needs to be a positive experience for my host family as well, but not just for me," said Shivane. "I have two goals for myself as well. One of them is visiting Washington DC and Chicago. The other goal is that I want to learn more about myself. This year has taught me a lot of things already. I don't want to be judge anyone by their race, accent, clothing style, home country, hobbies, or anything else. I feel like it has made me a better person."